Destiny is showing fantastic potential consistently winning baby puppy of breed. 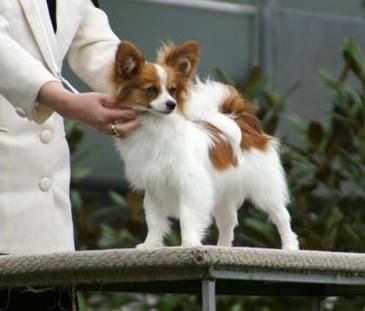 Destiny was Puppy of Breed at the Melbourne Royal Show at the tender age of 7 1/2 months and short-listed to the final 4 for Best Puppy in Group 1. Destiny has been tested clear with Genetic Technologies for (VWB1) von Willebrand Disease Type One. Watch for Destiny in the show ring with her sister Ch Basilika Startlite Angel in the coming months. 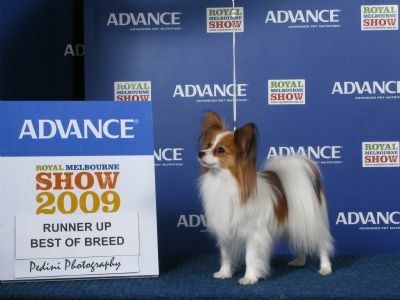 Destiny has bounced back and has gained her Champion status in just 7 challenges/best of breeds. Well done, girl we are very proud of you.